These free Christmas printables are perfect for your child’s lunchbox, your spouse’s work bag or a hostess gift basket for a holiday party. 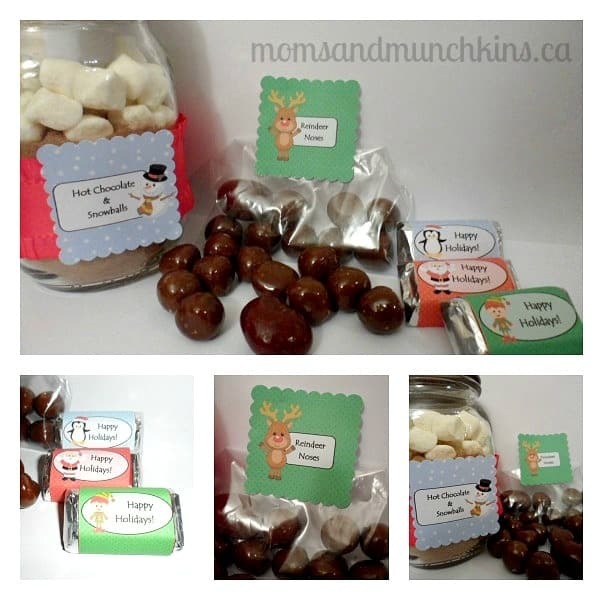 The free printables include mini candy bar wrappers, reindeer noses tag and hot chocolate & snowballs tag. You can print these for free and have your kids help you to put together bags of treats for loved ones and anyone that you want to give a little Christmas cheer to. Mini Candy Bar Labels: Simply print, cut and then glue the labels over mini Hershey’s candy bars. Reindeer Noses Tags: Santa has 8 reindeer plus Rudolph. A fun treat idea is to put 8 round brown chocolate treats (like caramel balls) in a bag plus 1 round red chocolate ball (like a chocolate coated cherry or strawberry). Simply print, cut, punch a hole in one corner of the tag then use a ribbon to tie the tag onto the chocolate bag. Hot Chocolate & Snowballs: Fill a small mason jar about 3/4 full of hot chocolate powder mix. Top the jar off with mini marshmallows. Glue a ribbon around the jar and attach the free printable tag. What are your favorite homemade gifts at Christmas? Do you know what goes great with Christmas treats? Free printable Christmas games and we have tons to share with you! For more holiday ideas, visit our special Christmas Fun page. The Christmas season is our most popular one for Pinterest repins. 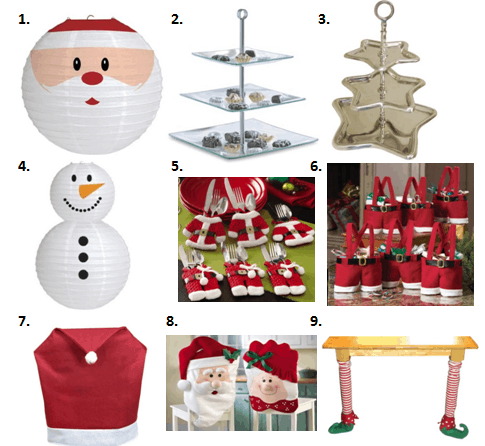 Check out our Christmas Pinterest board for fun ideas and freebies to enjoy with your family. To stay updated on the latest ideas, follow along on Facebook where we always post new ideas first. We hope your holidays are merry & bright…and full of chocolate! Disclosure: I am part of the Amazon affiliate program. All opinions expressed here are my own. My favorite is the Christmas Wreth! Ooh, thanks for the printables, they are so cute!! Fun! I love checking out cute Printables – thanks for sharing these! Thanks for sharing these great free printables. Great for those homemade gifts! I love cookies at Christmas time. Absolutely love all of your creative and unique printables! Definitely will have to make something with these as soon as I get some more ink for my printer! Always so much fun going on over here! Thanks for the printable s! Thank you for the ideas. I am helping with my sons school Christmas party and these are perfect. These are so creative!! It would be a perfect present for teachers! !